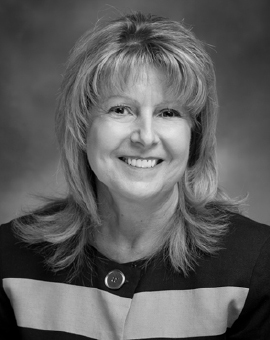 Ann Stevenson is Vice President of Human Resources for Sunrise Company and is responsible for the development of policies, directing and coordinating human resources activities, such as employment, compensation, employee relations, benefits, training, and employee services. Ms. Stevenson joined Sunrise in 1987 as the Payroll Administrator and was responsible for compensation, benefits and risk insurance. In 1998, she relocated to Las Vegas and assumed the title of Director of Human Resources and was responsible for all human resources and payroll activities. Prior to joining Sunrise Company, Ms. Stevenson was employed by Kaiser Steel Corporation for 13 years. Her last position with Kaiser Steel was Treasury Consultant and was responsible for pension funds, maintenance of real estate holdings and overseeing payroll and benefits. While employed at Kaiser, Ms. Stevenson held the positions of Payroll Manager, Payroll Specialist, Personnel Representative and Recreation Assistant. Ms. Stevenson has a Bachelors Degree from Cal Poly, Pomona where she graduated with honors.